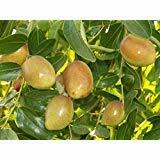 Lang jujube tree sale – Is it better to grow Lang jujube tree than other Jujube tree variety? 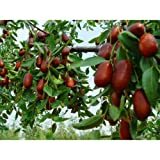 Is it possible to buy Lang jujube tree seeds? Lang jujube tree has big fruit red brown color with sweet taste the fruits have strong structure, it is good variety to grow, there are another variety like li, honey jar or sugarcane and more good varieties, Lang jujube tree seeds are not viable and need to buy tree.